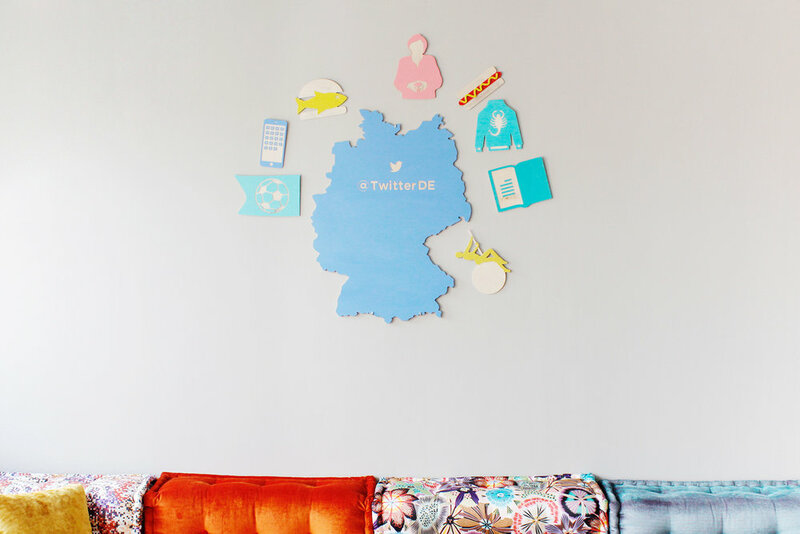 1,5m tall wooden map of Germany, to celebrate Twitters new office in Hamburg. It shows the most popular topics germans tweet about. Sport, news/social media, food, politics, movies, literature and music/stars.